/mo. with 1 yr agmt. Excluding taxes and other fees. AT&T Business Local + Long Distance Unlimited Phone - You make the right choice with AT&T Local and Long Distance service for your office. 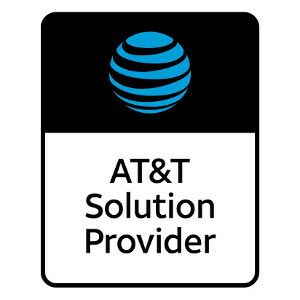 AT&T business phone offers call clarity, up to 12 calling features, unlimited local and domestic direct dialed calling all at one great cost saving price. Enjoy keeping your bottom line with AT&T services. Online 24 hour troubleshooting for Account Management, Data Transport, Installation & setup. Online forums and chats 24 hour.